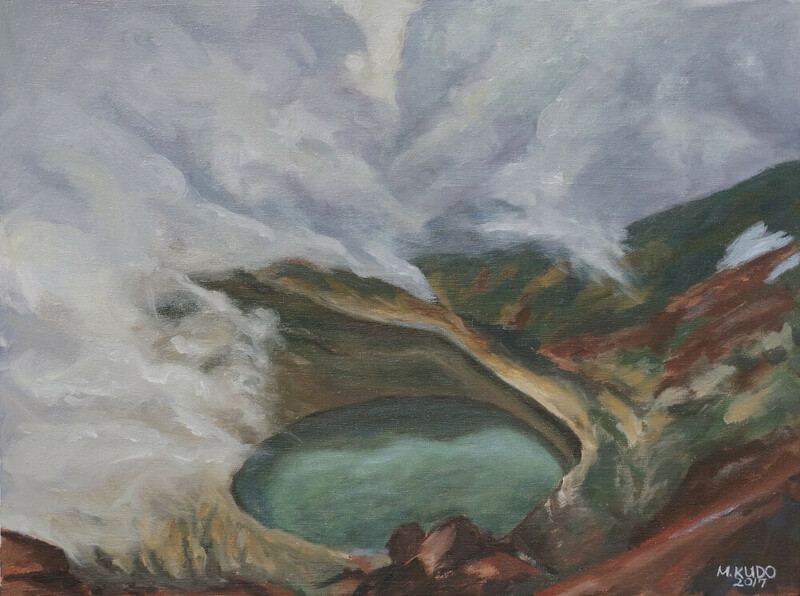 It is a volcanic crater lake on Mt. Zao in Japan. I hiked there.